Who ate all the pies? It was definitely me. Christmas came early for me last week when Pieminister sent me their Christmas pie range to sample – the best parcel I’ve received in a while! I’ve been a fan of Pieminister ever since I visited their stall at the Borough Market last year in London. Their individual pies are perfectly sized and delicious served with a dollop of their buttery mash. 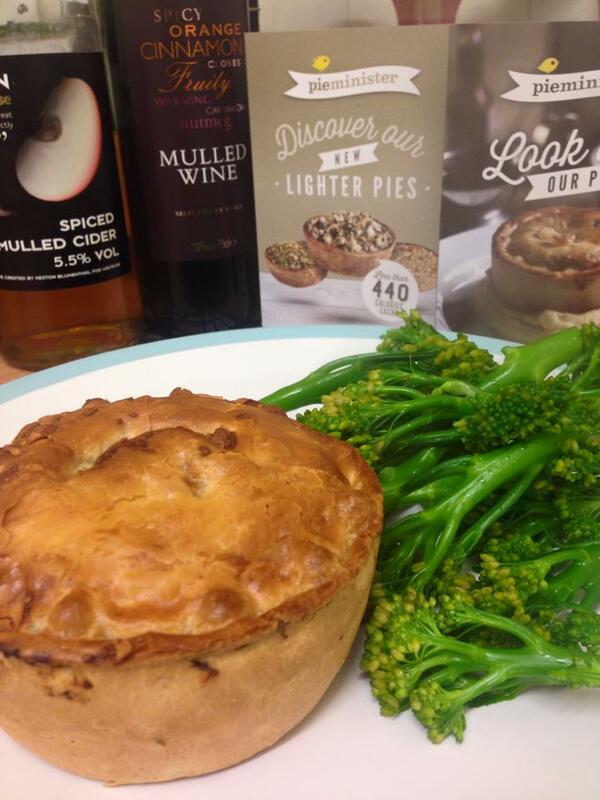 “Deer Santa” – a British venison, dry cured bacon, red wine & puy lentil pie. Don’t they sound delicious? 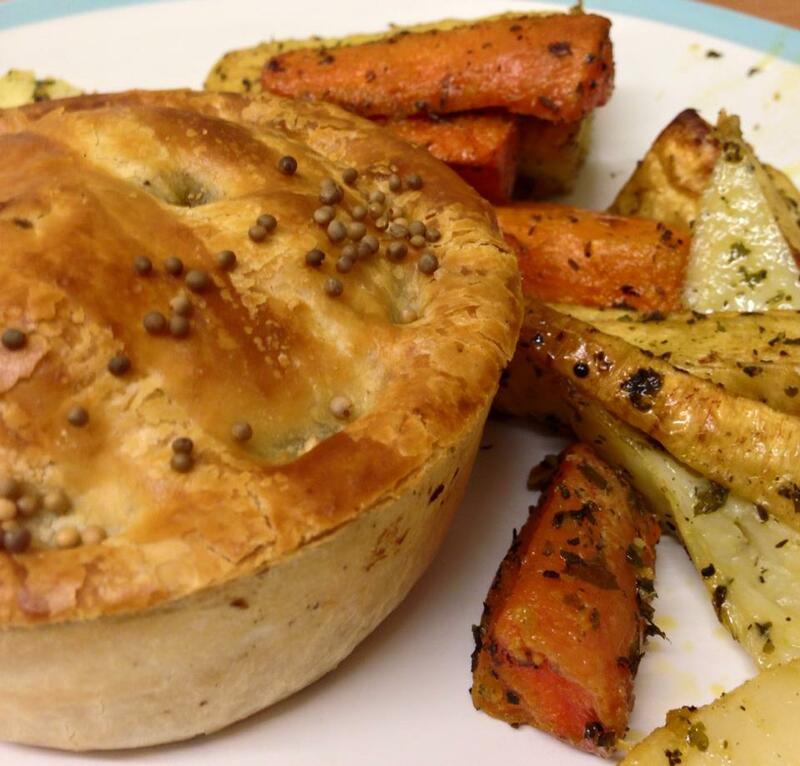 From veggie to venison, there’s a pie here to suit every taste – in fact, the venison pie, which is part of their permanent range, actually inspired me to develop my own Venison & Puy Lentil pie. In my mind, a good pie should have crisp, golden pastry and be packed full of meaty goodness and flavoursome gravy. Pieminister certainly don’t disappoint. Each pie is perfectly uniform, with a sturdy, golden pastry crust, and there is no skimping on fillings. I have to admit, I had my reservations about the vegetarian pie, Christingle, but it was actually very enjoyable. The parsnips were slightly sweet from being honey roasted, while the gravy had a bit of saltiness to it from the cheese. There was also a light sprinkling of cheddar cheese on the top of the pie which gave the pastry a delicious, slightly cheesy flavour. Out of the four, the Mistlemoo was definitely my favourite. When I cut into it, lots of thick, yummy gravy began oozing out and the smell was fantastic. For someone like me who is not a fan of blue cheese, I was a bit concerned about the inclusion of Stilton, but it’s a very subtle flavour that is not overpowering and adds real depth to the gravy. The pies can be easily frozen as each one is packaged individually, and can be ordered in packs of 6 from their website for just £21. Believe me, they are worth every penny. They are also now available in selected Waitrose stores and on Ocado. From the silly names to the pastry crust, Pieminister give me everything I look for in a pie. Don’t just take my word for it though, try them yourself. Outside Scotland, there are a range of Pieminister stalls and restaurants and you can also find them at some market stalls and festivals – and possibly in your local Waitrose! Their fillings are always interesting and inventive, so much so I might have to purchase their recipe book – if only I had put it on my Christmas list!